Stock status is current as of 4/23/2019 8:06 PMET. Connect up to 4 USB devices with the C2G USB Over Cat5 Extender. This is designed for system integrators and installers. 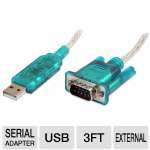 It is an innovative and powerful solution for extending USB cables beyond their limitation of 16.4 foot length. This extender helps extend devices up to 328 feet over Cat5. It is specifically designed for commercial environment. 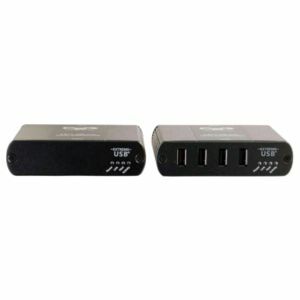 It provides connectivity for up to 4 USB devices. Buy the C2G USB Over Cat5 Extender today!